Dr. Levi was raised in Orange County, California. He received his Bachelors of Science degree from the University of California Irvine. During his undergraduate studies, Dr. Levi gave back to the community by being a police officer. Afterward, he moved to New York to attend New York University for his Doctorate in Dental Surgery. While in dental school, Dr. Levi became extremely interested in Endodontics. After his doctorate degree, he attended Mount Sinai School of Medicine in Manhattan, New York where he got a degree in General Practice Dentistry. He pursued his interest in endodontics which lead him to New York University College of Dentistry Endodontics program to earn his post-graduate certificate in Endodontics. Dr. Levi is an active member of the American Associate of Endodontics and is presently Board Eligible in the field of Endodontics. 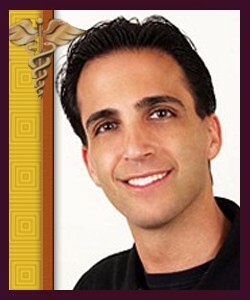 In his free time, Dr. Levi enjoys spending time with his family and friends. His hobbies include traveling, jet skiing, snow skiing, horseback riding, target shooting amongst many other things.